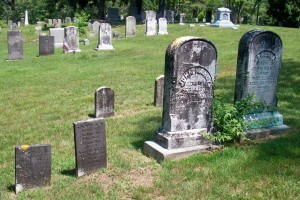 Died: February 4, 1870 in Sandwich Ma. 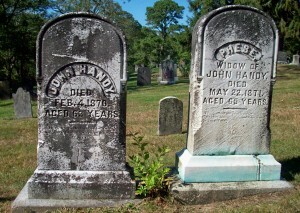 at 63 yrs, 5 mo, 18 d.
Married: October 31, 1831 in Rochester Ma. 1. Tamsen Chapelle Handy Swift; (August 11, 1832 – October 19, 1906); Married George Amasa Swift (1830 – 1918) (Charles B. Swift & Zebiah K. Hewins) in 1854; They had 5 children; Tamsen & George are buried in Cataumet Cemetery. 2. James T. Handy; (Abt.November 1836 – August 6, 1838); James died at 1 yr, 9 mos. & is buried in Cataumet Cemetery. 3. James Thatcher Handy; (? – March 17, 1841); James died young & is buried in Cataumet Cemetery. 4. James Thatcher Handy, Capt. 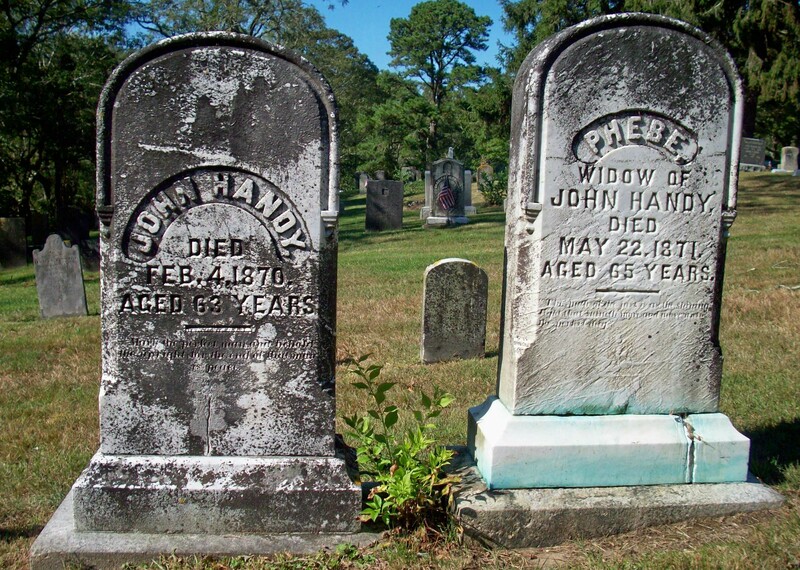 ; (June 30, 1842 – November 10, 1910); Married Emma D. Baker (1844 – 1925) (Hiram Baker & Harriet N. Lumbert) in Sandwich Ma. on October 8, 1870; James & Emma are buried in Cataumet Cemetery.